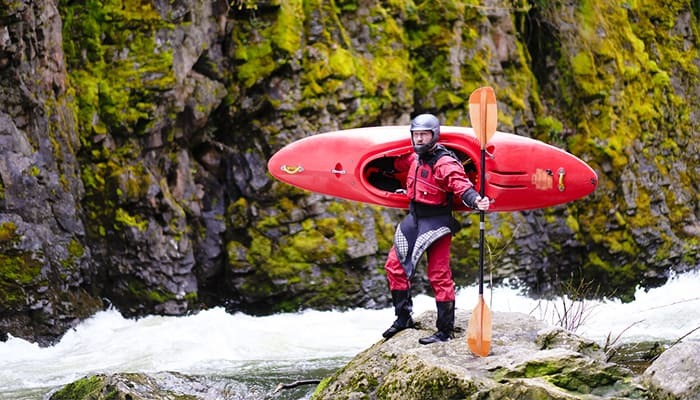 In this guide we’ll take a look at the best sit on top kayaks. What Is The Best Sit on Top Kayak? If you’re in the market for the crème de la crème of sit-on-top kayaks, Vibe Kayaks’ Yellowfin 130T may be for you. This 2-3 person kayak measures 13 feet long and weighs in at 80 pounds. It also has a generous weight capacity of 500 pounds. Available in three aesthetically pleasing color combinations, the Yellowfin 130T is great for duos, trios, and even solo paddlers. It’s ideal for recreation, fishing, and it’s my top pick for families who prefer not to use separate vessels. Included are two flush mount rod holders with caps, and four mounting points for Scotty, RAM, or Railblaza mount rod holders. 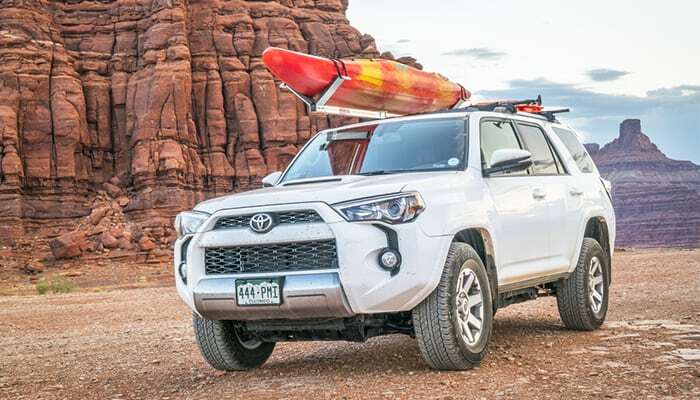 There are also a multitude of storage options, including two sealed hatches with bag inserts, a large bungeed rear tank well and bow cargo bungee system. I have to admit, this top-of-the-line model offers a comfy ride. There are even adjustable footrests. It’s also sturdy enough to stand while fishing. As with the other Vibe kayaks I tested, the Yellowfin 130T comes with a limited lifetime manufacturer’s warranty for defects and a one-year warranty on parts. While Vibe states this kayak fits up to three people, I’m not sure it would fit three people comfortably. I would recommend it for solo paddlers and duos. As for cons, this model comes with a hefty price tag. Weighing in at 57 pounds and measuring 10 feet long, the Vibe Kayaks Yellowfin 100 Sit on Top Kayak offers a comfortable paddling experience. I love the adjustable footrests, sealed storage hatches, and large rear tank. This model also comes with four fishing rod holders, two tackle tray holders, and a large bungeed rear tank well. The weight capacity tops out at 375 pounds, which is slightly higher than the Skipjack 90 model. Although the Yellowfin 100 can be cumbersome to carry, it handles beautifully on the water. 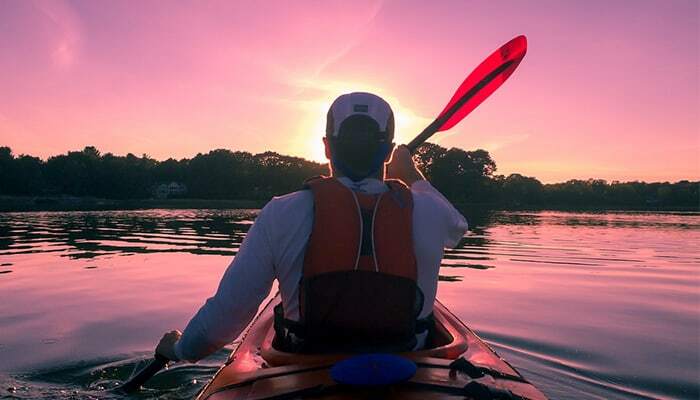 The kayak is sturdy and stable, and it glides with ease. I love the comfortable seat, which is ideal for longer outings. The vessel handles well through calm waters and wakes, though I wouldn’t necessarily recommend it for use on choppier waters. It’s ideal for lakes, ponds, and protected bodies of water. In fairness, I haven’t tested it in ocean waters. Anglers will love the carefully executed storage spaces for tackle and gear. The fishing rod holders are also well-placed and shouldn’t get in the way while fishing. Perhaps my favorite feature of all is the gorgeous color combinations. I chose the Jam Berry colorway, which combines shades of blue, purple, and pink. The colors remind me of tie-dyed tees. There are four colorways to choose from, and all of them are equally eye-catching. As for drawbacks, as I mentioned before, the kayak is quite heavy. Other folks who have purchased this model recommend a kayak dolly. The price point may also be a bit high for some novices. 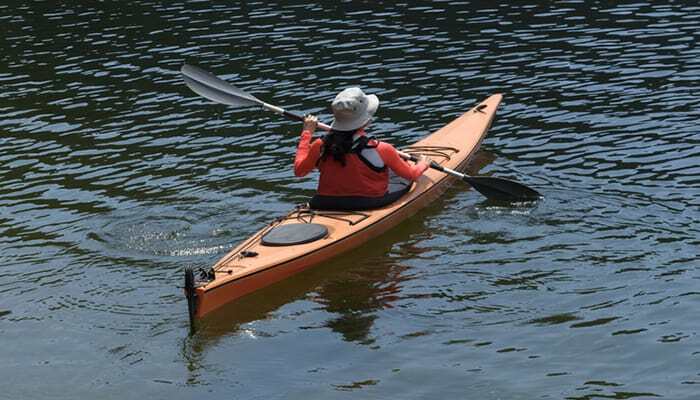 The Vibe Kayaks Skipjack 90 Sit on Top Kayak measures 9 feet long and weighs in at 46 pounds. Ideal for recreational use and angling, this model features a deluxe seat for a comfortable paddling experience. The weight limit is 300 pounds. 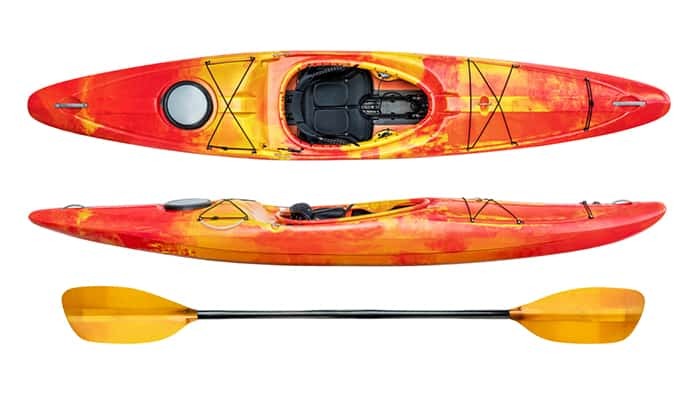 Vibe Kayaks certainly prioritized storage space with this model; the kayak features three sealed hatches with bag inserts and a large rear tank to protect kayakers’ gear. There are also five built-in easy-grip handles for portability. I love this kayak for several reasons, including it’s maneuverability. It tracks straight and comes with everything you’ll need to get started, minus a PFD (personal flotation device). Vibe Kayaks has included paddles and plugs, and I love that the storage compartments are lined. I also appreciate the compact size and great value. If you plan to fish, the built-in fishing pole holders will come in handy. Although I didn’t attempt to stand while out on the water, other reviewers note that standing on this kayak to fish can be done, though it may be a bit wobbly at first. With that being said, the vessel is very stable. I felt safe and secure on the water. I also love that this vessel comes with a limited lifetime manufacturer’s warranty for defects and a one-year warranty on parts. There are very few cons with the Skipjack 90. I do wish it was slightly bigger, and additional storage space would be a welcome bonus. The seat also tends to slide, which becomes annoying after a while. Overall, I give this model a glowing review. This 43 pound, 9 foot Ocean Kayak Frenzy Sit on Top Kayak is easy to transport and carry. The weight capacity tops out at 325 pounds, making this vessel ideal for larger paddlers. 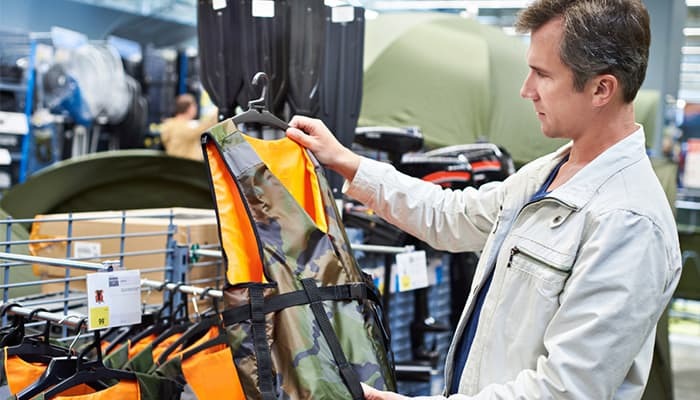 Because it’s lightweight, it’s also great if you’ll be utilizing a car top rack. The Comfort Plus seat back makes for a comfortable paddling experience. The seat back is fully adjustable and easy to customize. Carrying handles at the bow and stern make it easy to tote. I also love that it has a built-in cup holder. Despite the affordable price point, the Frenzy is incredibly well-made. It’s sturdy and durable, and best of all, I feel safe in it on the water. Plus, it tracks relatively straight and it’s faster than some of the other models I tested. The cons are few but notable. The vessel doesn’t come with scupper plugs, so you’ll need to purchase them separately. Although the weight limit is generous, the seat is quite narrow, which may make it uncomfortable for larger paddlers. The lightweight Lifetime Lotus Sit on Top Kayak weighs only 38 pounds and measures just 8 feet long. It’s affordable, sturdy, and durable. I particularly appreciate that it’s budget-friendly and it comes with a 5-year limited warranty. It also comes with paddles. Because of the reasonable price point, the Lotus is my top pick for families with multiple paddlers. This model tracks reasonably straight and has built-in scupper holes, which work great for draining. There is some storage space, including a generous storage area behind the seat. I felt very safe and secure while out on the water. I would recommend this kayak for protected bodies of water, though some reviewers note that it handles well even in rapids. It’s relatively easy to climb back on the vessel after taking a break to swim. As for cons, the Lotus is not nearly as aesthetically pleasing as many other models. The seat straps also tend to slide, and the included paddles could be better. If you are on a tight budget and/or you’re not keen on bells and whistles, I’d definitely recommend this model. Sit-on-top models are an excellent choice for beginners. Entry and exit is easy, and water is typically drained from built-in holes. These kayaks also tend to be quite stable, making kayakers feel secure. And because sit-on-top models don’t require kayakers to be strapped in, flipping the vessel is less of a concern. Recreational paddlers often prefer sit-on-top models, as do anglers and divers. I recommend these kayaks for use on lakes, rivers, and other slow moving bodies of water. As for cons, sit-on-top kayaks tend to be slower than their sit-in competitors. They often have less storage space, and kayakers aren’t sheltered from the elements. Because of this, I recommend sit-on-top models for agreeable weather conditions. With sit-on-top models, you’re almost guaranteed to get wet. Recreational sit-in kayaks have been around much longer than sit-on-top models, and many folks prefer this old-school kayak type. These vessels are versatile and shelter paddlers from less-than-ideal weather conditions. They’re known for their stability and promote efficient paddling. To keep water from entering the cockpit, paddlers can wear a spray skirt. The skirt offers extra protection and is ideal in chilly water and/or weather. If you prefer not to get wet, you may want to opt for a sit-in model. As for drawbacks, exiting a sit-in kayak can be difficult. It’s important that paddlers learn to drain their vessel and learn to do a self-rescue before venturing out. 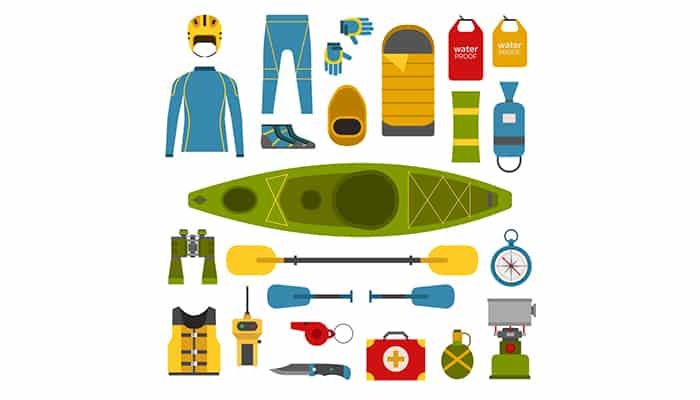 As you can see, weather and water conditions are important considerations when choosing your kayak. If you live in a cold climate, a sit-in model may be your best bet. 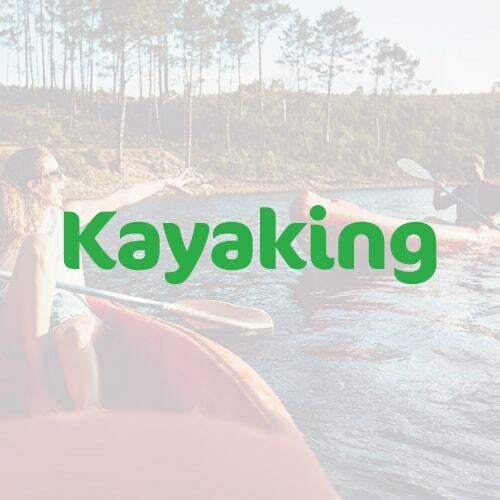 How often do I plan to kayak? How much time you plan to spend on the water can help you decide which factors and features to prioritize. Consider quality as well as budget. If you plan to paddle only occasionally, you may want to skip out on a pricier model. If you fall in love with the sport, you can always upgrade later. Who will I kayak with? 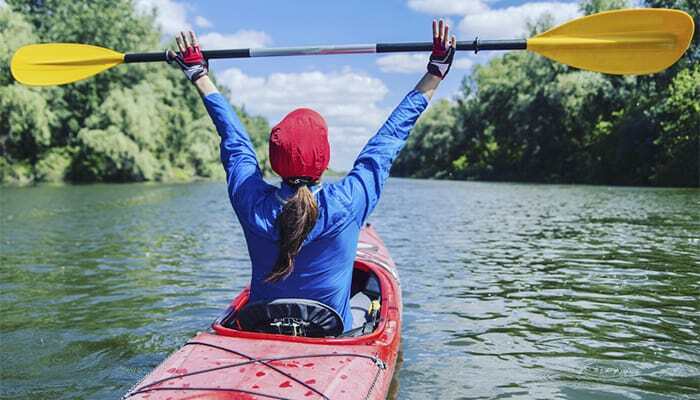 If you plan to make kayaking a family adventure or you want to take friends along, a tandem or convertible kayak may be your best bet. These vessels allow you to ride both solo or with another paddler. How much weight can I carry? 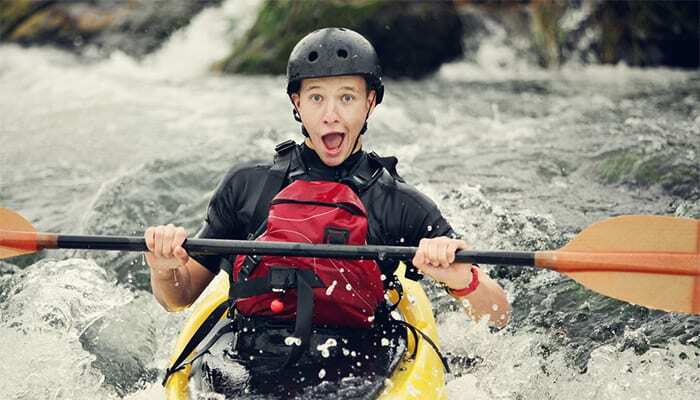 It’s important to choose a kayak you can carry. If you plan to paddle solo, look for lightweight models you can tote on your own. How much weight can the kayak carry? Consider your own weight, as well as the weight of your gear. Take note of max weight capacity, especially if you’ll be paddling with a partner. If your vessel can hold up to 250lbs, make sure your weight and gear combined weigh less than the max capacity. While weighing the pros and cons of each kayak type, there are a few additional steps I always recommend to new paddlers. If you’ve already been out on the water and you’ve fallen in love with the sport, you can skip ahead to my comprehensive reviews. Try it out: I recommend renting a kayak from a local paddling shop before making your purchase. 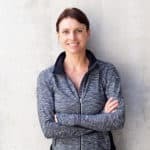 Jot down questions ahead of time, and don’t hesitate to ask the professionals. 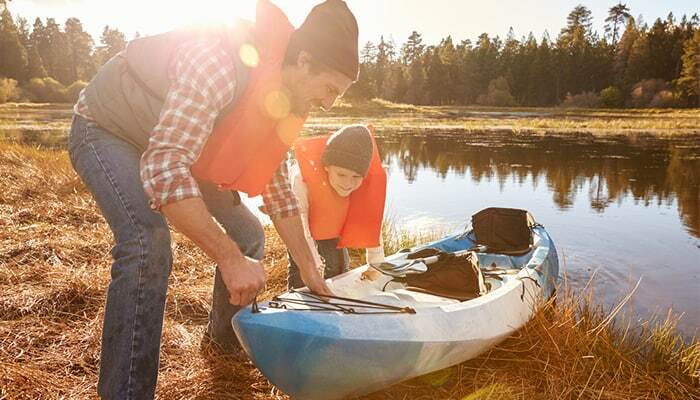 If you plan to paddle with family members, take them along on your test run. Kayaking is a wonderful intergenerational activity that the entire family can enjoy. Take a lesson: Get to know the ins and outs of kayaking by taking lessons ahead of your first solo or family outing. Lessons will help you get acquainted with the sport, and you’ll also learn lifesaving safety information. Do your research: Along with this guide, I recommend watching YouTube videos to see multiple kayak models in action. There are so many free resources out there—let them help you make your decision. It’s particularly helpful to learn tricks of the trade for individual models before setting out on the water.